Myths are more than just stories. For the psychologist Carl Jung, they were no less than ‘psychic phenomena that reveal the nature of the soul’. There is something elemental about them that means that even today, thousands of years after the Greeks first told their myths, artists of all varieties still turn to them for inspiration. Harrison Birtwistle has been writing works informed by ancient mythology since the 1960s, with his new opera The Cure the most recent. But he is only among the latest in a long line of opera composers to do so. Myths have been crucial to opera ever since the art form came into existence at the turn of the 17th century, with composers including Berlioz and Richard Strauss falling under their spell. What was probably the very first opera, Jacopo Peri’s Dafne (1598), tells the tale of Apollo’s pursuit of the nymph Daphne, as related by Ovid in his Metamorphoses. The Metamorphoses have inspired not only composers – Handel (Acis and Galatea) and Britten (Six Metamorphoses after Ovid) among them – but also artists in other media, of the stature of Shakespeare and Titian (whose work has in turn inspired many other artists, perhaps most explicitly in The Royal Ballet’s triptych Metamorphosis: Titian 2012). In poetry, Ted Hughes’s late work Tales from Ovid (1997) gives evidence that simply translating Ovid can result in a vitally fresh and relevant work of art. Ovid’s appeal might lie in the vivid, thrilling way in which he recounts his tales – but it also lies in the tales themselves. Even Ovid was treading familiar ground, bringing together myths from even older Roman and Greek sources. Just as today, in Ovid’s time at the turn of the first century AD myths were familiar, almost universal – a set of stories everyone shared. Homer, who probably lived as early as the 8th century BC and continues to inspire artists from Alice Oswald (the poetry collection Memorial) to theatre group The Paper Cinema (a version of the Odyssey told through puppets), is an earlier source for certain myths – but again, even he was also drawing on a long oral tradition of myth-telling. It isn’t just that myths have survived: they have retained their power to spark artistic revolution. Gluck’s use of mythology in Orfeo ed Euridice (1762, revised as Orphée et Eurydice in 1774) was a key part of his reform of opera. Just three characters appear in this luminously simple setting of the Orpheus myth, eschewing the complexities of opera seria for ‘classical’ values such as balance and proportion, and integrating not just music and drama but also dance. A hundred and fifty years later, Stravinsky and Balanchine’s collaboration Apollo (1928) was a turning point in classical ballet: working in a ‘neoclassical’ style, both composer and choreographer stepped away from modernist excess to create a ballet in ‘pristine white’ that celebrates Apollo and his muses. And the works of Martha Graham in 20th-century dance, while very different in their attitudes to Greek myth, are just as revolutionary. In Night Journey (1947), for instance, she concentrated on Jocasta, the mother and wife of Oedipus, rather than Oedipus himself, giving a new psychological perspective to the myth. 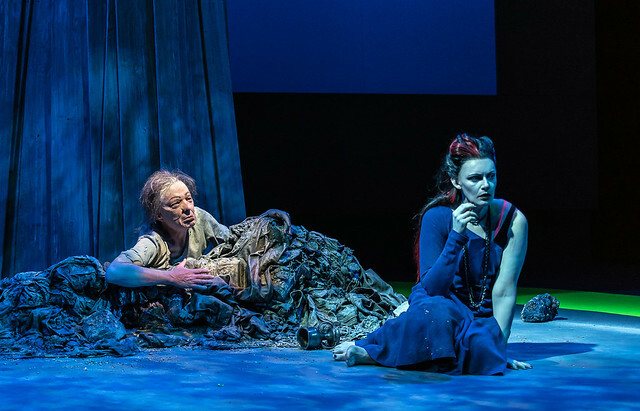 There seem to be a near-infinite number of ways to interpret myths, as The Royal Opera’s current focus on Orpheus shows: Orpheus operas by Monteverdi, Birtwistle, Gluck and Rossi as well as Little Bulb Theatre’s aptly demonstrate how many different ways one myth can come to life. This, then, is perhaps the key reason for the continuing appeal of mythology to artists. Just as Ovid transformed his myths into elegant tales of metamorphosis, so artists today remodel them in the ways that suit them best. The Cure may be the latest opera based on myth, but it certainly won’t be the last. Oedipe runs 23 May 2016–8 June 2016. Tickets are still available.